Today’s SPECIAL WEEKEND EDITION comes from Nicola Martin, a third-year, AHRC-funded Ph.D. candidate at the University of Dundee and the University of Stirling. Nicola holds a B.A. and MSc. from the University of Strathclyde, and is currently working with Colin Nicolson and Matthew Ward. Her dissertation is tentatively titled “The Cultural Paradigms of British Imperialism in the Militarisation of Scotland and North America, 1715–1776.” Her research investigates how warfare and pacification affected eighteenth-century British imperialism, and she can be found @NicolaMartin14. This is her first post for The Junto, a fitting occasion—it commemorates the Battle of Culloden (April 16, 1745). 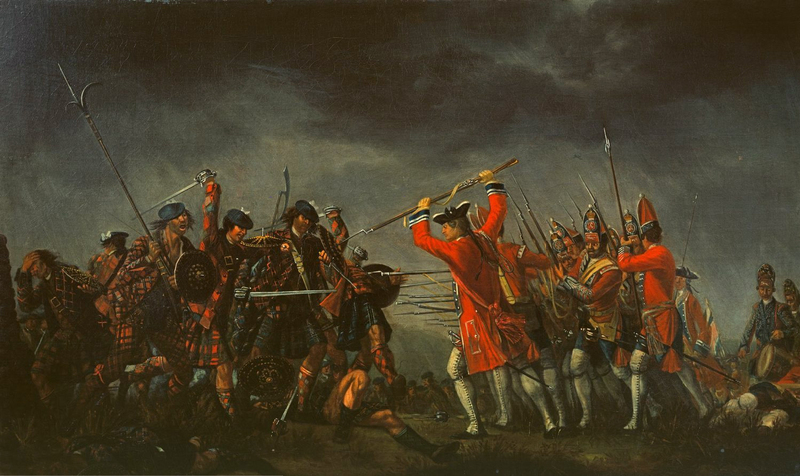 On April 16, 1746, the British army defeated its much smaller Jacobite counterpart in a battle on Culloden Moor, Scotland. The conflict lasted less than half an hour, but it left over 1,500 Jacobites dead. In the days and weeks following the battle, hundreds of Highlanders were killed as the British army, under the orders of the Duke of Cumberland, implemented draconian measures to punish those who they held responsible for the rising. Shortly thereafter, the British imperial elite embarked on a systematic pacification of the region that lasted for decades and evolved over time from punishment toward measures designed to civilize the “barbarous” Highlanders and assimilate them more closely within the British state and empire. 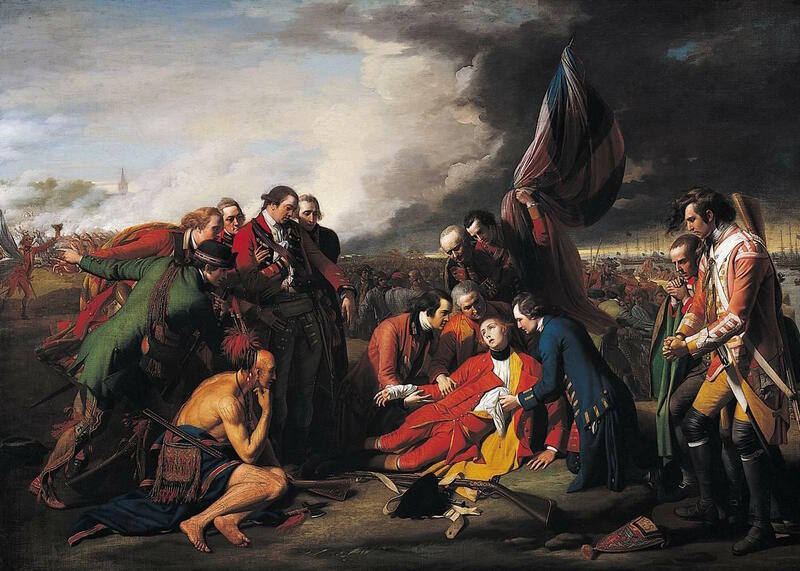 Standing alongside Cumberland on the battlefield at Culloden were James Wolfe and Thomas Gage, men who later gained both fame and notoriety in British North America. John Campbell, fourth Earl of Loudoun, was approximately one hundred miles away on the Isle of Skye, commanding Independent Companies for the British army. These three men, and numerous others involved in the British response to the rising, would be instrumental in the shaping (and eventually unmaking) of British America over the following three decades. More than this, though, the experiences of the British army more generally in the Scottish Highlands shaped British imperial attitudes and policies in a very real way. The Scottish Highlands were militarized in the post-Culloden period. A standing army was left in the region, forts and garrisons were constructed, improved, or enlarged, and extensive road- and bridge-building campaigns were undertaken to provide easy access for soldiers to remote areas and to commercially link the Highlands with the Lowlands and England. Over time, soldiers and sailors were settled on the estates annexed to the crown and, indeed, some of these soldiers were Highlanders themselves as Highland recruitment into the British army began in earnest during the French and Indian War. The reasons for this militarization of the Highlands were twofold. Firstly, it provided a simple way for the British imperial elite to pacify and govern a potentially hostile population in one fringe of the empire; secondly, it was an attempt to overcome the “otherness” of the Highlanders by assimilating them more closely within the empire. Geoffrey Plank has highlighted that under Cumberland’s command the British army gained power and prestige that it had not enjoyed since the Cromwellian era. Army officers developed a civilizing intent through their actions and experiences in the Highlands which they then took with them to other parts of the British Empire where they were stationed. More than this, though, the attitudes that British army officers formed in response to their encounters with Scottish Highlanders informed their actions in North America where they were involved in the pacification of various groups of “others” over the following decades. The definitions that the army had applied to the Highlanders during the ’45 were later applied to both the French Canadians and Native Americans as officers saw what they believed to be similarities in all three groups. Defining the populations as savages led to a blurring of the distinction between combatants and non-combatants and caused a relaxation in the adoption of the articles of warfare during the conflicts. Punitive measures were adopted against all in the region with crops and houses burnt, men killed, provisions seized and livestock driven off. Elsewhere in North America the army adopted particularly violent tactics when attempting to pacify Native American nations both during and after the French and Indian War. As had been the case in the Highlands, the perceived savagery of the population group and their “otherness” directly contributed to the adoption of such tactics. The British army also embarked on a process of militarization during and after the French and Indian War as a standing army remained in the colonies, forts and garrisons were constructed and maintained in the backcountry and the newly conquered territories, and military officers adopted policies reminiscent of those first implemented in the Highlands. The militarization of North America was intended, as in Scotland, to both restore peace and to govern potentially hostile populations in a geographically distant fringe of the empire. The secondary aim of the British imperial elite continued to be the closer assimilation within the British Empire of the various groups of “others” they encountered. Despite the fact it took place thousands of miles from North America, the Jacobite Forty-Five, and the British army’s response to it, shaped attitudes, actions, and encounters in that theater right up until the outbreak of the American Revolution. Officers including John Campbell, James Wolfe, and Thomas Gage relied upon their experiences in one fringe of the empire as they attempted to overcome the problems British imperialism faced in another. Detail on the steps taken by the British to militarize the Highlands in the aftermath of Culloden can be found in the State Papers Scotland series and the Forfeited Estate papers at the National Records Scotland, Edinburgh. For an excellent discussion of Highland recruitment into the British army see Andrew Mackillop, More Fruitful than the Soil: Army, Empire and the Scottish Highlands, 1715–1815 (East Linton: Tuckwell, 2000). Geoffrey Plank, Rebellion and Savagery: The Jacobite Rising of 1745 and the British Empire (Philadelphia: University of Pennsylvania Press, 2006). Beckles Wilson, The Life and Letters of James Wolfe, Repr. ed. (Memphis: W. Heinemann, 2010), p. 110–111, 269–270, 273. Nice post, Nicola! Could you say a bit more about what was involved in this “civilizing intent” by the British? Interesting connection between the British pacification of Jacobites and the American Revolution. I wonder if this John Campbell was looking to hunt down any McDonalds in the Jacobites? On a very broad level, there seem to be many examples of an imperial power trying out techniques on one population and then implementing them on another subjugated population. When I read this, the two examples that came to mind were the English pacifying the Irish during the Tudor dynasty, which they then used as a pretext for enslavement of Africans. The US army officers that fought in the Philippines during the Spanish-American War, or more precisely, the Philippine-American War, had gained experience beforehand fighting Native Americans in the late-19th century. I wonder why the British were unable to “militarize” trans-Appalachian Indian country after 1763? Was it the sheer size of eastern North America compared to the Scottish Highlands?